We recently wrote a whole article on the benefits of CLA. We love this product so much that we thought we would also give it to one of our lucky readers!!! Listed below are ALL the benefits of this simple fat. Make sure you enter to win! Benefits of CLA (Conjugated Linoleic Acid) – Has properties that help to combat all of these listed below. Cancer – Even a small amount of CLA in the system (.05) can reduce cancerous tumors up to 50 %. These are related to breast cancer, lung cancer, skin, stomach and Colorectal cancers. Asthma – Asthma is known as inflamaroty condition. CLA has the ability to change into both DHA and EPA which are known to be powerful anti- inflammitories. A study published in the American Journal of Clinical Nutrition  found that individuals who took 3.2 grams of CLA per day had a drop in fat mass of about 0.2 pounds each week (that’s about one pound a month) compared to those given a placebo. CLA achieves this reaction by it reduces body fat by enhancing insulin sensitivity so that fatty acids and glucose can pass through muscle cell membranes and away from fat tissue . This results in an improved muscle to fat ratio . 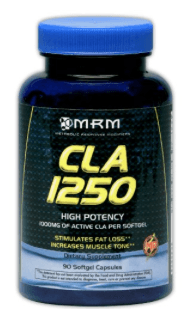 Lowers Insulin Resistance – CLA helps to lower insulin resistacance. High insulin levels have been linked to diabetes, as well as high levels of body fat. Fitness Tip : CLA isn’t made in the human body. Therefore, you must consume it in the form of Grass Fed Beef, raw dairy products, and supplements. *Please Login below – using your email of Facebook account. Leave a blog post, Tweet about the giveaway, Visit Fit Tip Daily on Facebook, Follow at @fittipdaily on twitter etc. etc. * Follow the instructions on each option to drop another raffle ticket into the Fit Tip Daily giveaway. The more tickets, the more chances to win! You can enter in multiple ways and you can enter each and every day (even for previous events). * Each Giveaway will tell you how many days are left in each giveaway! I love this website so helpful and informative for all things health. I just found this site. It is very interesting. There is a wealth of information here. This site is exactly what I need after the holidays! I love the items you have in the Fit Tip Store. It looks like you've focused on quality items versus quantity and I much prefer that especially when it comes to workout gear. 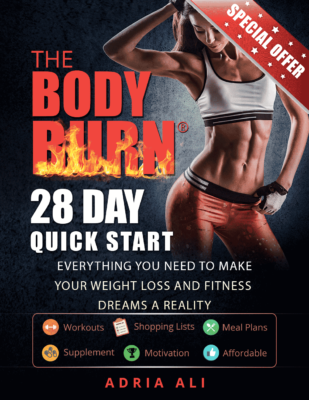 I obviously like the fat burning aspect of this but the other health benefits surprised me. I always get nervous with weight loss supplements but this sounds like one I'd be comfortable taking.